My name is Larry Janesky. I’m the owner and president of Dr. Energy Saver Connecticut and the founder of the Dr. Energy Saver network, a nationwide network of contractors who specialize in diagnosing and correcting home energy problems. We provide industry-leading energy evaluations and Free Estimates for all the upgrades and repairs we can perform to increase energy efficiency and comfort while decreasing monthly utility expenses. My Promise You're in good hands with Dr. Energy Saver Of Connecticut! You can count on us to show up on time, communicate well, get you the results you're looking for, and perform! And in the off-chance something goes wrong- we fix it fast! That's my pledge to you - and my team's 25-year track record of serving 37,000 Connecticut homeowners (3,800 in 2011 alone) shows we can do it! A typical house has many ailments that waste energy and force homeowners to spend money on utilities rather than on the things they’d really enjoy. Dr. Energy Saver has the expertise to diagnose home energy problems and complete the improvements that lead to exceptional energy savings and a healthier, more comfortable home. Owner Larry Janesky founded our parent company, Basement Systems, over 25 years ago, to answer the need for a basement waterproofing system that would be more effective than anything else on the market. Since then, the Basement Systems family of companies has grown to include basement finishing, foundation repair, crawl space repair and –most recently—home energy services. 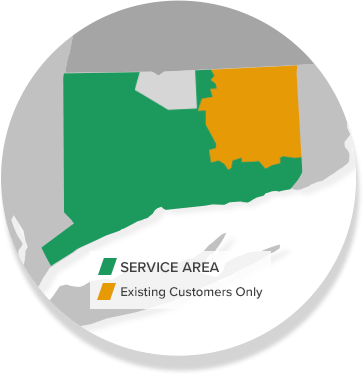 Our success as industry leaders in these areas continues to grow because of our commitment to hard work, customer service, innovative products and rigorous training. We want to be the best because that’s what you and your home deserve. 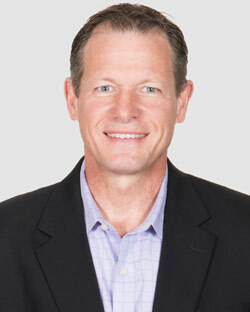 Way back in 1987, Larry Janesky started a Connecticut company called, "Basement Systems", to provide waterproofing, finishing and structural repair services. Today the company is the most successful company in the history of the industry, with 120 dealers in 6 countries including their flagship dealer, "Connecticut Basement Systems". Connecticut Basement Systems offers the highest levels of service and reputation available through their staff of 110-employees - all dedicated to solving every customers basement troubles. You may have seen our ads! 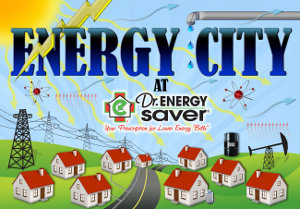 Dr. Energy Saver was founded in 2009 as part of this organization. We are the parent company of a network of home energy conservation contractors in 18 states. Our 40,000 square foot "Energy City", is our national headquarters right here in Connecticut and is the largest home energy conservation center in the country. We welcome Connecticut homeowners to visit! Dr. Energy Saver Connecticut is our local flagship company. We operate as a model for other contractors to follow. Many homes use twice as much energy as they should because of basic problems like excessive air leakage, inadequate insulation, and inefficient HVAC equipment. Living in an inefficient house means that hundreds of dollars a year is literally going up in smoke --from your chimney or from the smokestack of an electrical power plant. As energy costs increase, it's more and more important to improve your home’s energy efficiency. That’s what our technicians can do for you. Our pledge at Dr. Energy Saver Of Connecticut is to help you save energy and money on your utility bills, while also improving the comfort and healthfulness of your home.